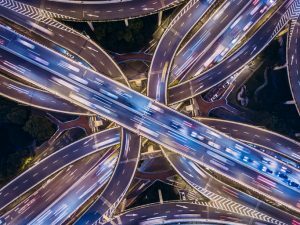 Technology such as autonomous vehicles, electric vehicles, vehicle data connectivity, ride-sharing technologies, and others are going to transform cities, helping cut the costs of traffic congestion, accidents, and air pollution, wrote the Harvard Business Review last week. And while that’s all good on paper, the way cities manage these technologies will dictate whether they succeed or fail. Managing new offerings is the big challenge. The secret, says the venerable magazine, is tailoring new mobility approaches to each city’s unique needs and context. Dense cities have different transportation needs than more spread-out municipalities, and higher-income areas will experience different wants than those whose residents are largely of lesser means. Key is getting a head start, and that means now, the article says. Read the whole thing here and let us know in the comments—are they on to something or off the rails? I agree with the author’s conclusion that “Those that get a head start on developing integrated mobility plans will be better positioned to reap the benefits that new technologies will bring to their residents.” I believe one of the initial ways cities can implement smart infrastructure is by improving current parking garages. An innovative solution would be a scanning system that allows drivers to place a sticker in their cars’ windshield that scans them in and out of any garage in the city, eliminating a lot of unnecessary steps in the parking and payment processes. I would love to hear what you guys think about this type of solution!